Marano traveler of the seventeenth century. He claimed that while journeying in South America about 1641 near Quito, Ecuador, he met with savages who practised Jewish ceremonies and recited the Shema' and who were of the tribe of Reuben. He met other savages of the tribe of Levi. Going to Holland in 1644 he told this story to Manasseh ben Israel; the latter repeated it to Thomas Thorowgood, by whom it was printed in his "Jews in America," pp. 1-9 et seq. 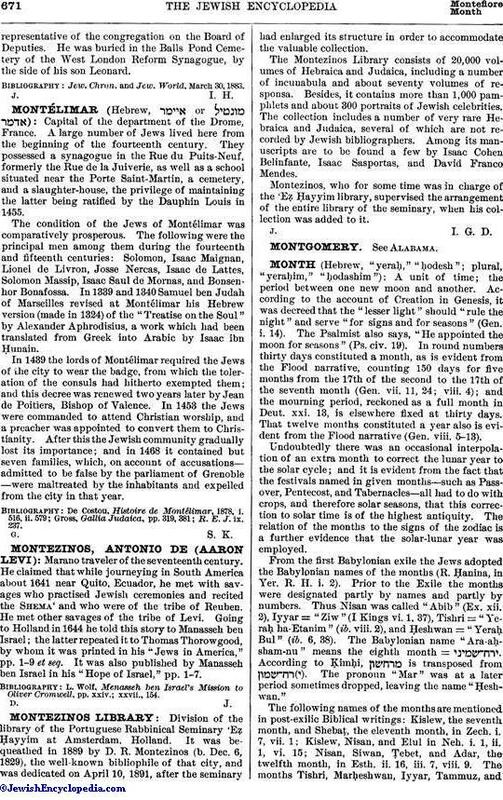 It was also published by Manasseh ben Israel in his "Hope of Israel," pp. 1-7. L. Wolf, Menasseh ben Israel's Mission to Oliver Cromwell, pp. xxiv. ; xxvii., 154.